Which KidSafe Synergy Should I Choose? With winter around the corner, it can only mean one thing. Cold season. If you’re looking to protect yourself and your little ones from seasonal illnesses, reach for an amazing KidSafe synergy. There are also a few great options if you’re looking to help your kiddos have a peaceful night’s rest. While the similarities between the synergies can seem daunting, there are many differences that set each essential oil apart. Before you get overwhelmed, check out this list. Wee break down each oil to help you choose the essential oil that’s right for you and your family. This synergy was designed specifically to help support the immune system while being completely safe for the little ones. It combines Lemon, Palmarosa, Dill Weed, Petitgrain, and others to create a KidSafe blend that is just as effective as Immune Aid. Diffuse Germ Destroyer to help protect your family from seasonal illnesses. It has a fresh, green, and clean aroma with a lightly vintage medicinal scent. The blend of Spruce Hemlock, Marjoram Sweet, Lavender, Rosalina, and Lemon is also helpful in aiding in recovery. With a fresh, fruity, with a refreshingly herbal aroma, Nighty Night is the perfect choice for creating an overall relaxing and calming environment. Apply topically or diffuse for 30 minutes on and 30 minutes off to take advantage of the benefits. Reach for Sweet Dreams if you’re looking to help your little ones with troubling dreams. This synergy helps soothe those turbulent emotions and promotes a peaceful, uninterrupted night of rest. It has a fruity, floral scent that brings about a sense of warmth and comfort. The last KidSafe synergy on our list is Sweet Slumber. It has a citrusy, woodsy aroma with a hint of sweetness. It’s both calming, soothing, and sedating, making it a perfect choice to help get your little ones ready for a good night of sleep. This blog post helped me decide which synergies would work best for me. 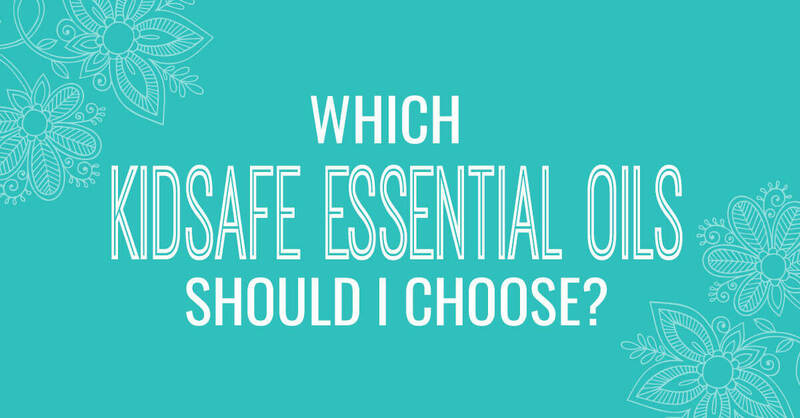 While I know they are similar – especially the ones for nighttime – it was the blend of EOs based on my preference that made me choose one over the other. I chose Nighty Night (works great for adults too) and Germ Destroyer. To be honest, I was a bit overwhelmed when I first purchased from PT with the number of synergies to choose from… I wanted them all! LOL. But there was also one important reason why I have chosen PT, it fit right into my budget. Thank you for providing a detailed description of the synergies mentioned in the post. I was able to choose the ones best for my family. 🙂 Budget-permitting (in the future), I will explore the others. I really like this blog post. It’s helpful when I’m unsure of what to use. We LOVE germ destroyer in our house! We have the nighty night roller bottle but after reading this I definitely want to get the sweet slumber 10ML and diffuse it in my kids room. I think we overuse lavender in our house so it’ll be nice to have this blend. Thanks Plant Therapy for always having such good blog posts when I need it, especially when it comes to information for my kids! Sweet Dreams has literally been a dream come true for our busy boy whose brain is constantly going. I’m hoping you have a suggestion on something that would work similarly for him on alternating months. In an attempt to avoid sensitization we’ve always practiced switching our oils up every month but unfortunately Nighty Night has Blue Tansy in it and Sweet Slumber has Sweet Orange so neither of those will work for us. I want to make sure I understand correctly. Immune Boom meant to be used daily to support a healthy immune system. And Germ Destroyer is meant more for when we know we’ve been exposed to something and/or someone is sick/recovering. Is that correct? I am new to PT and are loving the kid synergies!!!! As a mom of 2 and trying to change our life style to a chemical free home safely, these have been wonderful. 🙂 My kids love helping to use the “pretty” smelling cleaner from the fridge to wipe down the table and counter tops. 🙂 Thank you PT! So glad i found you! I thought I would try something different last night before bed. I mixed three drops of Nighty Night and 2 drops of calming the child in the diffuser before my kids went to bed. I felt myself dozing off within 10 minutes and the kids all went to bed so easily! I know that sometimes it can be too much to blend two synergies together because they each have a number of ingredients but this mix really seemed to work and smelled amazing too! Thank you plant therapy for the Kidsafe line! My 5yo daughter is pretty active for a girl & it tends to take her awhile to get relaxed before bedtime. So I just purchased Nighty Night yesterday & can’t wait to try it! i have been using germ destroyer and have just received calming the child – i love how handy the kid safe synergies are for my young family ! My Grandsons Live with us. We had a 7.4 earthquake 11/30 Moderate damage. Since that point the three year old has NOT slept the night through. He wakes some nights 3 or 4 times. I cannot diffuse in his room. 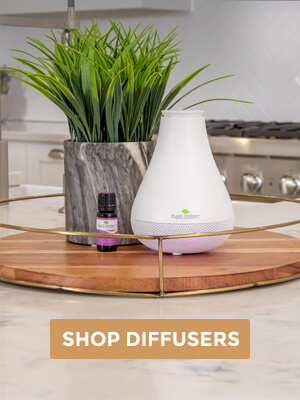 Would a Snuggler with a couple drops of one of the Synergies work as a personal diffuser?? I have Germ Destroyer and Nighty Night on the way in the top 3 kids synergy set! Trying to get as much information as I can before they get here so I can use them properly. This blog post has helpful information about the blends. Thank you! The sleep synergy explanation really helped me!! Thanks again PT!!! We foster and I’ve heard that sometimes trauma can make lavender have the opposite effect on children, so knowing that you guys prepared for that is amazing. Will definitely be ordering Sweet Slumber. These oils are on their way, and I can’t wait to try them on my three kids! Bedtimes are so stressful and hectic sometimes, I’m hoping these will help out winding them down. I love that I am able to use any of my KidSafe oils on my daughter (7 y.o.) and no they are safe for her. This article makes sure I use the oils more efficiently. Thank you so much for this information. I m often trying to figure out which oils to use for each situation and I love that you break it down and explain it so well. You are welcome! Please let us know what works with you family. I have all of these oils except Sweet Dreams so great to have some info on how to use them, looks like I have been on the right track! This is so helpful! Thank you so much for such an easy to access comparison when many oils seem so similar. Thanks! I’m definitely going to invest in some Germ Destroyer. We’ve had a ton of fall/winter germs in our house since starting daycare and can use all the help we can get. Thank you for always making it so easy to determine which oil I need for a certain issue. We love germ destroyer and immune boom. Tried sweet dreams and it really helps too! This was SUPER helpful regarding the bedtime synergies! When I placed my first order I wasn’t sure what synergy I should order for my kiddos, now I know exactly what to get when I place my second order! Thank you!! Thank you for this post it is super helpful for a newbie like me! I love learning about the oils to better help my family. Great post! We typically diffuse Germ Destroyer and Immune Boom, but I loved reading the different suggestions for where to use them in a roll on! We will definitely be trying that out in the future! Thanks for the post! Just ordered the KidSafe set for the Immune system, as the sold season is here now. Soo excited to try Sweet Slumber!! We smelled a friends and loved it!!! We use Germ Destroyer and Sweet Slumber and really like both of them! I am considering getting Sweet Dreams next to try. We LOVE Germ Destroyer!! We use it multiple times a week. All of the PT kids safe brands are wonderful. We you calming the child almost daily. Germ destroyer and immune boom are great too. Immune boom has too much dill for me so I mix it with another oils to mask the smell. I was wondering what the difference between the sleep synergies were, and which would be best for our family. Thanks for this article. We love immune boom too. Smells like pickles but helps keeps us well. I just ordered several of the KidSafe products and I will be checking my mailbox until I receive them! So excited to try these with my baby! The main reason I choose to purchase from Plant Therapy versus other brands is due to their openness and helpfulness when it comes to oil safety with children! Thank you for caring about the safety of our kids over making more money! My little one is only 2 months old, but it’s never too early to start researching! I just bought two kids safe synergy sets and added Sweet Slumber to my wish list. I know they say don’t use on children under 2 years old, but is that just for topical use, or diffusing as well? You could use topically too but just dilute more and only use when needed, not preventative like the germ or immune or sleep ones. Young babies are more sensitive when they are so small, plus their skin is more sensitive. If I did use topically on my babies, I only used very diluted on feet, or tummy if it was for an upset tummy. After 6 months old I use on chest and back too, but not daily or when not really needed. I think diffusing Kid Safe ones is fine even with the little ones. I use topically on my 15 month old with no hesitation now, for ear aches, tummy, teething pain, sniffles, cough, etc. Hi, Here is a one of PT’s blog post on safety: https://blog.planttherapy.com/blog/2018/11/02/infants-and-toddlers/ I use it as reference when I share eos to families with young kids. HTH! Our family super looooves Sweet Slumber! We alternate it with Nighty Night. We’ll try Sweet Dreams next purchase! I am a big fan of the Kidsafe line that almost all the EOs that I bought were Kidsafe. I love and always use Sniffle Stopper, Germ Destroyer, Odor Zapper and Sweet Slumber. Really glad for this explanation! Lavander doesnt seem to work as great on my little ones for sleep. Jusr ordered sweet slumber! Thank you for making alternative synergies for bedtime use. I love Nighty Night, but is great to have an option to rotate and lessen chance of developing sensitivity. I follow all of PTs advice to safe usage for young kids because it turns out my family can be sensitive. I hope you offer more synergies without palmarosa, as this is an eo we tend to avoid. I love Immune Boom and Germ Destroyer. I have Immune Aid and Germ Fighter as well but I love how the whole family can benefit when I diffuse the Kidsafe blends. 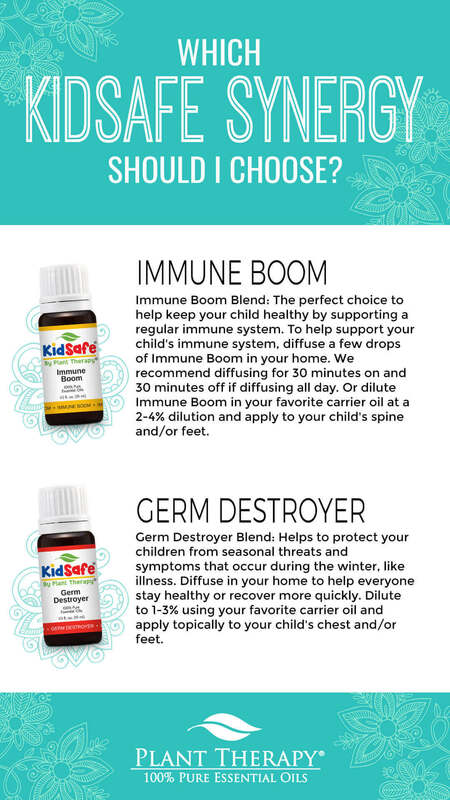 We have been diffusing Immune Boom all fall and I think it has really the colds and cooties with my kids! I love the educational focus of PT….this post is so helpful in explaining the difference between blends. I’ve been torn between which sleep blend to get. I also love reading other replies. Great information I was debating on getting the top 3 set for my grandchildren when they come over or the top 6 and I’ve definitely made up my mind to go with the top 6 after reading this blog!!! Thank you so much! Before PT I used EO with my baby without knowing if they were harmful for him. Germ Destroyer is one we use often! And I have many of the singles in other Kidsafe blends. I truly love that PT makes it easy to distinguish what is safe to use with little ones, since we have four children 7 and under. Sweet slumber is such a favorite with my kids. I’ve just recieved my first germ destroyer roll-on in the mail and I can’t wait to try it on the kids. Great info in this blog! 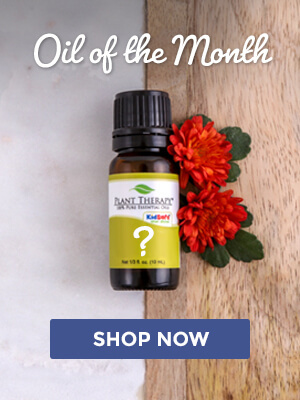 My kids are older, but I still find benefit in using some of the KidSafe oils with them. Plus, I make sure to have some on hand if I mix a blend for my sister who has younger children. Thank you so much for this blog post. I often get these syngeries mixed up. It a great reference for when and what way it best to utilize these essential oils. You’re very welcome, Tracy! So glad you find this information useful! Love all of these synergies. Thank you PT for putting this info all in one place. Recently bought a kidsafe set and have been using the sweet dreams. Thank you for the information on the differences in uses! Sweet slumber is my favorite blend for sleep because I absolutely love vetiver! I also love germ destroyer! I use both oils for my kids and myself. We LOVE our KidSafe synergies. Germ Destroyer, Immune Boom and even Sweet Slumber are better than their “adult” versions. Thank you for this post. I didn’t know the difference between these similar oils. Information is helpful for knowing how to use them well. Is there a sleep kid safe synergy that is most effective for adults as well? I want to buy one for both myself and my toddler to diffuse and to use topically for me, in the lil stinkers for him. Nighty Night is effective for me. Really lovely sweet gentle smell. We only diffuse passively (I leave an open container with a few drops of the oil in the our rooms, a diluted drop on our blankets, before we sleep). I rotate eos and blends to avoid sensitivity. One alternate is a diy blend with the same ingredients in Sweet Slumber, woodsy and grounding. HTH! I love immune boom, after being out in the cold decorating we went in and I diffused with some balm mint and felt wonderful. WIth little ones I choose to only use kidsafe. thx pt! Question about Immune Boom and Germ Destroyer. I know these say kid’s safe but are they equally effective with adults? I teach and I am wondering if this would help me. Do adults who are diffusing for themselves use the same recommendations? From personal experience, yes, the Germ Destroyer is effective even for adults. I’ve shared it adult friends with young kiddos. I like its scent better than Germ Fighter. As a bonus, it helps with my achy muscles/joints during the winter season when used in massage blends. I also love Nighty Night. We have not tried Immune Boom yet as I tend to shy away from Palmarosa. HTH! 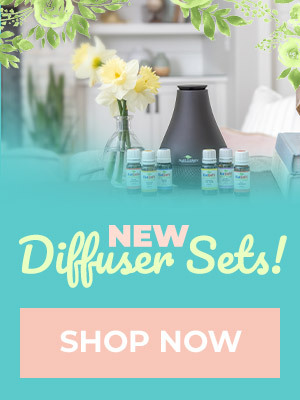 I am so excited to try all of the different Kidsafe oils. I have used the germ destroyer, but I was curious if you all have suggestions on what oil is best for my 13 year old who suffers from attention deficit hyperactive disorder and I have chosen to not medicate him. But, it is still affecting him in school and home life. Please give me your feedback on the best ways to utilize the oils for this. Thank you! Sweet Slumber is an absolute favorite in this house, for kids and adults! Thanks for making a lavender free option! So thankful for this. I’m glad they have a lavender free version for night time because my little one is energized by it, so its s life saver! We use both in our house. Love them! I really need some germ destroyer and immune boom! So far this year the kids have been healthy and I hope it stays that way! Love pt! You choose all of them. Lol I don’t know what I’d do without the kid safe line!!! The blends have changed our lives. No more tylenol or other toxic medicines. We always try oils first and 98% of time, that’s all we need!! I love all the blends! Ordered the KidSafe organic set for my sister and her family’s Christmas gift along with the dilution chart magnet! So excited to find a gift that will be useful for the whole family! I love germ destroyer and nighty night. I haven’t tried the other 2, but I’m especially interested in trying sweet slumber! We rely on both Immune Boom and Germ Destroyer. I’m so thankful for these Kid Safe options. Another thing I like about both is that they are Eucalyptus free which is important to us because I am allergic to eucalyptus. A lot of immune boosting or germ destroying formulas are not free of eucalyptus so this was a huge find for me and my family! Love how effective they are! I just purchased Immune Boom and Germ Destroyer. I’m really excited to give them a try! Im so excited to try some of these! We have very restless sleep with my 8 month old and I’m excited to have found something safe to diffuse for him! We use Sweet Slumber multiple times a week. My son has a hard time shutting down his mind for the night & this synergy is perfect for him. We also use Immune Boom frequently in order to try & stay healthy through the winter. We have used several of the kidsafe synergies & they have all worked great. I started buying them when my son was around 8 & still use them now that he is a teen! I love the educational focus of PT….this post is so helpful in explaining the difference between blends.